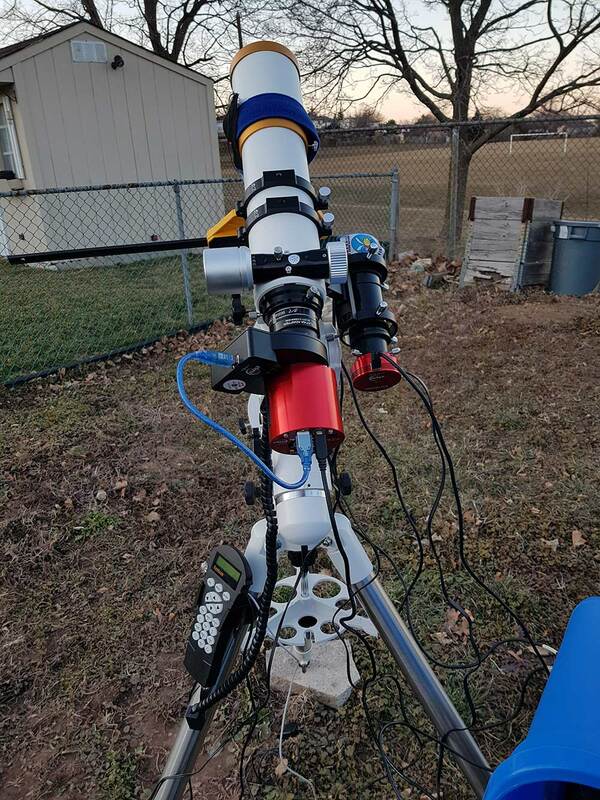 This week we’re looking at an impressive deep sky astrophotography rig that’s located less than an hour away from the AstroBackyard. Tom Butts is capturing amazing astrophotography images with his camera and telescope in Burlington, Ontario, Canada. I think you’ll all appreciate the performance of Tom’s imaging gear in a compact package – and his photos speak for themselves. Tom regularly shares his images on Facebook and has stayed in close contact with me since the early days of this blog. It’s nice to finally see his astrophotography setup behind all of his great images. First, let’s take a look at his primary imaging telescope, the William Optics GT71. I am no stranger to the quality and value of the William Optics brand, and this 71mm Grand Turismo APO certainly represents this reputation well. The GT71 is an Apochromatic Triplet refractor, with an f-ratio of F/5.9 and focal length of 420mm. APO refractors offer exceptional image quality due to the color correction qualities of the apochromatic lens design. The 71mm Grand Turismo APO is definitely a refractor worth looking at if you’re aiming to keep the overall weight of your imaging gear down. The Sky-Watcher HEQ5 Equatorial Mount has a payload rating of about 30 lbs, so the 5 pound GT71 is handled with ease. Tom uses the recommended field flattener for the GT71, the William Optics Flat6a. It’s always important to make sure that you’re field flattener/reducer is the right fit for your refractors f-ratio. This image scale appears to be a great match with the astrophotography camera Tom uses with this APO. For example, his image of the Soul Nebula on Astrobin shows the benefits of a wide field of view when shooting large nebulae. The camera used in this rig is the ever-popular (for good reason) ZWO ASI1600MM-C. This is a cooled CMOS monochrome astronomy camera, capable of recording incredible high-resolution astrophotography images. Tom builds his color images by shooting this mono camera through a ZWO 5-position filter wheel, in both standard color filters and narrowband. 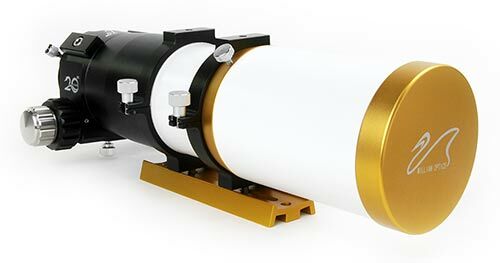 ZWO sells the 1600MM with the filter wheel as a package deal, and it’s one of the most attractive options for imagers looking to seriously step up their astrophotography game from a DSLR camera. To date, I’ve only ever used one-shot-color cameras from ZWO (ASI071MC-Cool, ASI294MC-Pro), but I have been thoroughly impressed with each of them. The 1600MM is being used by some of my favorite backyard astrophotographers including Chuck Ayoub. This GoTo equatorial mount has had the HEQ belt-mod applied, which I have heard can make a real difference in terms of tracking accuracy. I have not made this modification to my HEQ5, but it has been recommended to me several times. 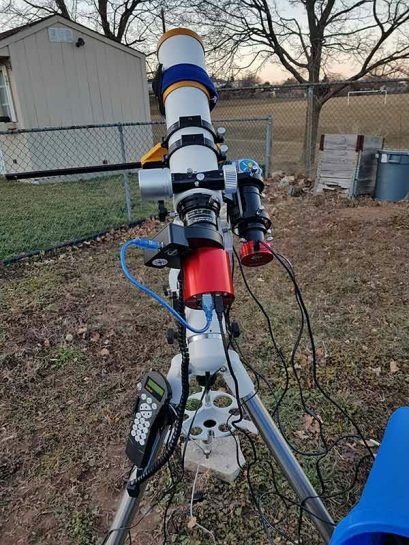 For more information about what takes place in a Sky-Watcher HEQ5 belt-mod, have a look at this video from Kari Brown featuring the comparable NEQ6 model. Thomas uses the EQMOD software to control his Sky-Watcher HEQ5 from his computer using a USB to RS232 adapter cable. By leveraging the ASCOM protocol, This upgrade has many advantages over the standard hand controller from pulse guiding to planetarium telescope control. You’ll notice in the photo that Tom uses an Orion 50mm mini guide scope in combination with his GT71. This little scope has a focal length of 160mm and houses a ZWO ASI120mm guide camera for dramatically improved tracking accuracy. I personally owned and enjoyed the Orion 50mm mini guide scope for many years as my autoguiding solution. This little telescope keeps weight to a minimum and can reliably pull in enough stars to guide your imaging rig. 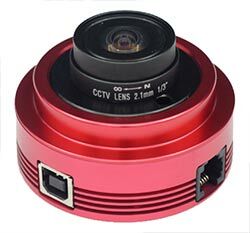 This USB 3.0 astronomy camera is a popular choice when it comes to an autoguiding solution. It’s a highly sensitive mono camera that can also be used for planetary or deep-sky imaging. 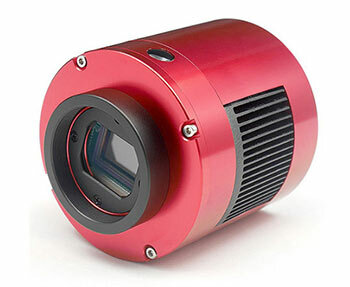 The affordability and performance of the ASI120mm are likely why this is such a popular choice among imagers. I have not personally used the 120mm, but I have experienced the superb software and driver support from ZWO cameras. I really like where ZWO is headed, and even got a chance to meet the ZWO Optical team this year at NEAF. 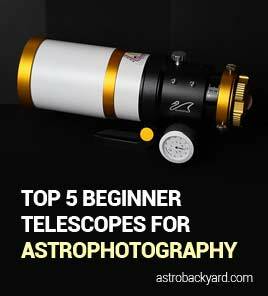 Because of the long process of going through each Backyard of the Week submission, the equipment profiles from each astrophotographer can quickly become outdated. I know my personal equipment is in a constant state of upgrade and revision, so this is not surprising to me in the least. Judging by his Astrobin profile, it looks like Thomas has invested in an Explore Scientific ED102 FCD 100. (Great choice by the way). 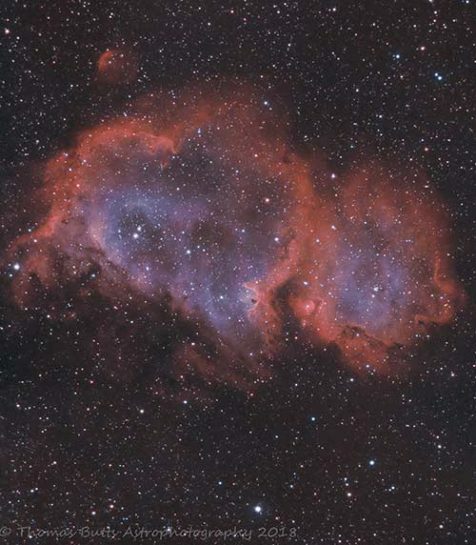 To see Tom’s latest images and astrophotography equipment, be sure to visit his Astrobin profile. Thank you for sharing your gear with us Tom! The Sky-Watcher HEQ vs. NEQ6 – What’s the Difference?